User-Generated Content or “UGC” is defined in Wiki “any form of content such as blogs, wikis, discussion forums, posts, chats, tweets, podcasting, pins, digital images, video, audio files, and other forms of media that was created by users of an online system or service, often made available via social media websites”. As you can see, there are a number of different types of content that can be used, however within the next five years, video will be the prominent type of media as it will dominate the internet. Just about everyone will have a quality HD video smartphone in their pocket so the term UGC will be interchangeable with UGV. User-generated video has become so powerful that it’s influencing buying decisions, including items that range from electronics to insurance policies. In fact, last year 40% of Generation Y admitted that user-generated videos impacted their decision to purchase a car. The fact that consumers who had previously recorded a quick video review could influence the outcome of such a large purchase is incredibly impressive. Why UGV is so Effective? The name user-generated implies a certain enthusiasm and credibility that can’t be captured with professional video. User-generated videos, are real, raw and difficult to manipulate. The simplicity – and the sheer honesty – of these videos is what sets them apart from other marketing tactics. And more importantly, UGV provides Social Proof. Imagine you are at a restaurant with family and friends. As your meals are served, you pull out your smartphone and start to video the food and capture the positive comments from your fellow diners. Once done, you post it to Facebook for the world to see. This would have a far greater impact on your viewers than any video advertising done by the restaurant. There are great many UGC campaigns that have delivered wonderful results for their respective businesses. Here I will analyse a live campaign that is in progress as I write this. “My Rode Reel” is a short-film competition sponsored by RØDE Microphones, the manufactures of professional audio equipment for videographers and film-makers. Competitions are a great way to maximise the number of targeted participants. Rode outlines a very clear entry process starting with a sign up for the entry pack. Each participant must enter a movie no longer than 3 minutes – which happens to be the perfect length for a YouTube video. Then they must also enter a Behind the Scenes video showing how they used a Rode microphone to make their movie.There’s no better way than to have budding film- makers showing how they use your product. Terms and Conditions or T&Cs need to be clear and accurate. The higher the value of prizes, the more detailed the T&C. Make sure you cover all entry requirements and how the winner/s will be determined because the last thing you want is a public dispute to hijack the all the free publicity you will be generating. The Rode Reel competition offers substantial prizes valued at $200,000 including Rode’s own products as well as other prizes from supporting sponsors. This will certainly attract numerous contestants and provide them with incentives to produce quality work. For a successful competition, you need the right platform which will help you to engage with your participants. Rode selected the YouTube platform and they are actively answering comments which in turn helps to create even more engagement. Early video entries are publically uploaded on YouTube so participants can vote for the “People’s Choice Award”. This keeps the momentum rolling along right through to the very end of the competition. You certainly don’t want the campaign to die a slow death. The add more authority to the UGV campaign, four industry leaders will be judging the competition. Imagine how exciting it would be for a young ambitious film-maker to have his or her work seen by one of their idols? This is a highly effective tactic. Rode have created a playlist on their YouTube Channel for educational videos each week relating to film-making. This really places their brand at the forefront of their target audience for years to come. The competition stipulates that each video entry must have a “My Rode Reel” brand image at the start of their video which also has all of the supporting sponsors logo on it. This must also be displayed in the Behind the Scenes video showing how they used the Rode microphone in the movie. So what can you learn from this Case Study? * Run a competition with appropriate start and end dates. * Ensure your Terms and Conditions clear and cover every aspect of the competition. * Use a Social Media Platform to effectively engage with your participants. * Create brand authority using industry leaders that will impress your participants. * Offer an appropriate incentive in value and relevance. * Provide sample and educational videos. * Maximise your branding opportunities. * 100s of participants involved with the brand. * 100s of videos and thousands of viewers. * Create niche authority for the Rode brand. * Increase in sales of Rode products. * Increase in lifetime value of its customers. Ok. Now it’s your turn to plan your User-Generated Video campaign for your business. Let me know how it turns out. It appears like some of the written text on your posts are running off the screen. Can someone else please provide feedback and let me know if this is happening to them as well? Pretty section of content. I simply stumbled upon your weblog and in accession capital to say that I acquire actually loved account your blog posts. Hello excellent website! Does running a blog such as this take a massive amount work? events for your politician. At the very bottom of this menu is a button entitled Power – Point Options. 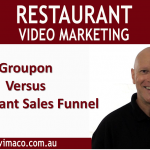 Campaigns for your Business | Vimaco < Loved it! Hi there, just became aware of your blog via Google, and located that it’s truly informative. Did you develop this web site yourself? Please reply back as I’m hoping to create my own site and want to know where you got this from or exactly what the theme is named. This site was created specifically from my concept. What’s up, after reading this remarkable piece of writing i am also delighted to share my familiarity here with colleagues. It’s very effortless to find out any topic on net as compared to books, as I found this article at this website.